Institute of Hotel Management Catering & Nutrition (IHM), Pusa, Delhi is amongst the top 5 IHM’s of India. The Institute is being set up by the Ministry of Tourism, Government of India and is governed by the National Council for Hotel Management and Catering Technology (NCHMCT). The Institute offers hospitality education at all levels i.e. undergraduate, graduate, and post graduate. It is being ranked top in nurturing excellence in the minds of aspiring students. Their main mission is to make students best in their field of education so that they have a successful career. The admission to Hotel Management courses offered by Institute of Hotel Management, Pusa is done on the basis of student’s rank/ marks in National Council for Hotel Management Joint Entrance Exam (NCHM JEE). National Council for Hotel Management and Catering Technology (NCHMCT), an autonomous body, governed by Ministry of Tourism, conducts NCHM Joint Entrance exam. It is a National Level entrance exam for admission to India’s top hotel management colleges. The scores obtained by candidates in NCHM JEE are accepted by 52 Institutes of Hotel Management that includes 16 State Government Institutes, 21 Central Government Institutes and 15 Private Institutes. The exam for B.Sc. in Hotel Management is being conducted in the month of April by NCHMCT. Further the result is being announced in the month of May and then as per the marks/ ranks, students are allotted colleges after their NCHMCT counselling. The candidate must have qualified 10+2 with English as the core subject. The age limit for the candidates in case of General/ OBC is 22 Years and for SC/ST/PD is 25 years. The exam is conducted in both English and Hindi language except the “English Language’ section of the paper. The exam duration is 3 hours i.e. 180 minutes. There is a negative marking of 0.25 also for each wrong answers given by the candidate. Further, the Aptitude for Service Sector has graded marking scheme which means that most appropriate answer will be given 1 marks followed by 0.75, 0.50, 0.25 respectively. 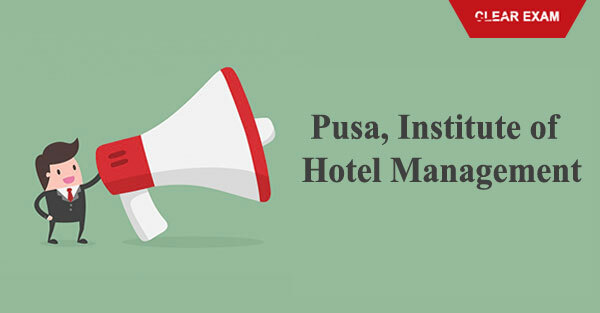 The Institute of Hotel Management, Pusa, Delhi gives 100% placements to the students. The students of B.Sc. in Hotel and Hospitality Administration are provided more than 100 positions at all levels of top Companies. Further students of other department like Certificate Course, PG Diploma course are also offered campus placements. The students who are looking forward for their career in IHM, Pusa, Delhi can get more details through our website Success Mantra.